The first two holy days of Passover came to an end last night and with the holy days, so went my children. As we made Havdalah, Josh left for the airport to return to Israel and his IDF unit. 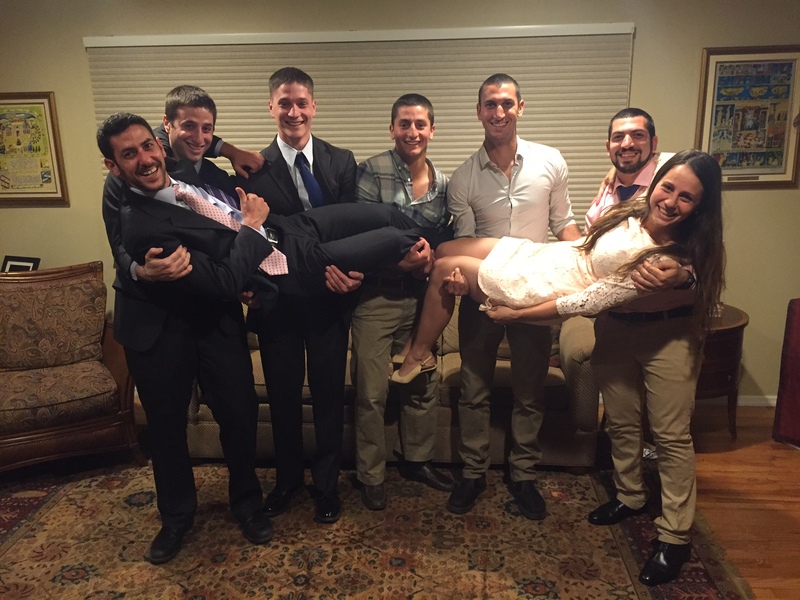 Noah returned to Maryland, Ben to college finals, and soon Sarah and Sagi will return to Israel as well. Moadim l’simcha, we say, may these middle days of Passover be filled with joy. Forgive me if my joy feels a bit diminished. And I really mean: Forgive me. I have so many reasons to be filled with an abundance of joy. Like Elijah’s cup at the seder, the joy should be flowing over the top of the cup. All four of my children became “all five of my children” this year as we added Sagi, a son by marriage to our ranks. 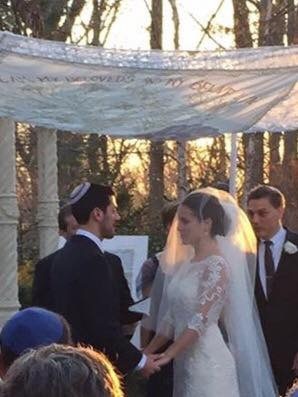 On the Sunday before Passover, our daughter Sarah and Sagi stood under the chuppah with Rabbi Craig Scheff officiating. For anyone who might have been second guessing attendance at a simcha on the last really great cleaning/preparation day before Pesach, Rabbi Scheff told us that celebrating the wedding was exactly the kind of Passover preparation we should be doing. The ruach of the wedding was an experience of simcha that no one in our families will ever forget, pouring joy into my cup. 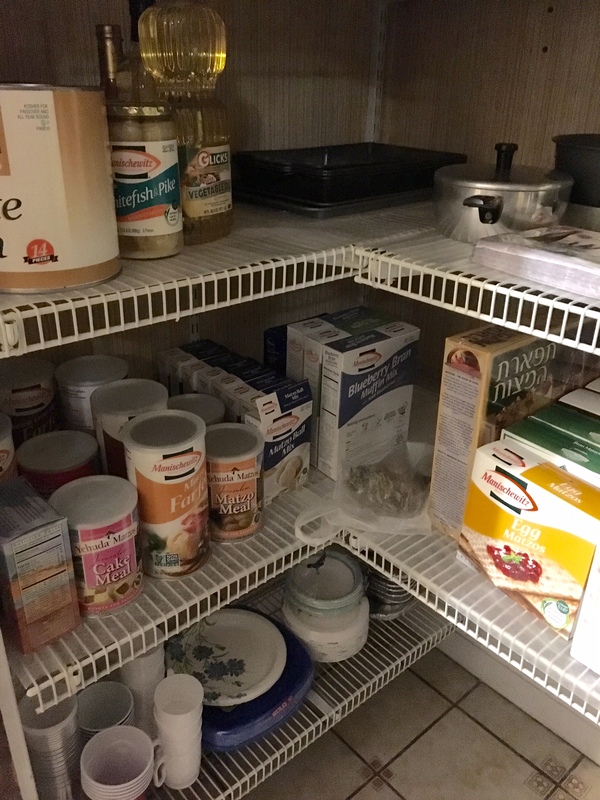 My own preparations for Pesach were put into perspective with absolute clarity. I could not have angst and agita because there was simply no time. On Monday we were serving bagels to thirty out of town guests. 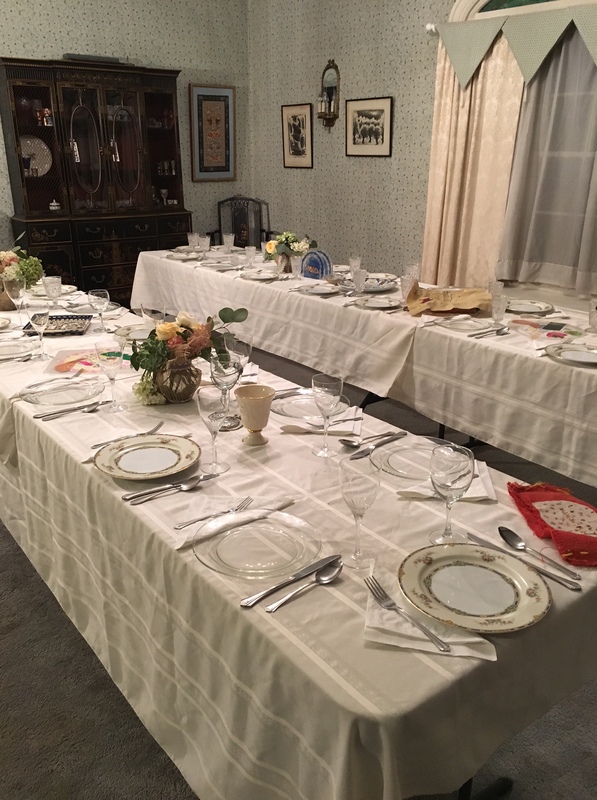 On Friday, we were sitting down to our family seder. The lived-understanding that my best was good enough and that the seder is meant to be completely a time of rejoicing freed me from years of self-imposed rigor. I have taught for years that we don’t need to be tortured in our Passover preparations. This year I walked my talk. The sense of freedom of the seder was another level of simcha poured into my cup. It was a blessing to celebrate the first two days of Passover with such an abundance of old and new family, a blessing that I don’t take for granted. Two wonderful seders, sunny days, lunches of matza lasagna with friends, long walks with my new machatenasta (Yiddish for mother of my son-in-law) enhanced the beauty of the chag. The sense of quiet contentment is another kind of simcha to add to my cup. Still, as the holy day ended last night and the middle days of Pesach began, I felt the diminishment of my joy as one by one, the Drill children and members of the Fainshtain family started peeling away, leaving us with great memories and (forgive me) matzah crumbs. But here is where Jewish ritual came to the rescue, reminding me that given a choice between feelings of loss and feelings of gratitude, I can choose gratitude. Last night we counted the second day of the Omer. As we continue on the calendar arc from Passover to Shavuot, from redemption to revelation, we count up, not down. Each day toward the holiday of Shavuot reminds us that we choose to make every day one of meaning, to make every day count. I can let go of the lessons learned about simcha or I can hold fast to joy by being grateful. Forgive me If I choose joy! Mazal Tov on your simchas, and thanks for being such a good role model for me and for us all. A hearty Mazal Tov on Sarah and Sagi’s wedding. What a gorgeous bride your daughter was. Thank you for sharing your pictures and your joy! Thoroughly enjoyed your personal reflection of the Passover Seders following the joy of your daughter’s wedding. So many of our joys are fleeting moments in time, and it is the memories that keep our hearts full of gratitude!